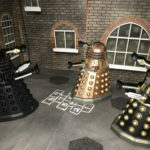 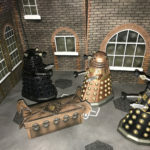 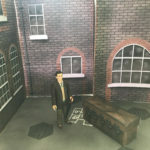 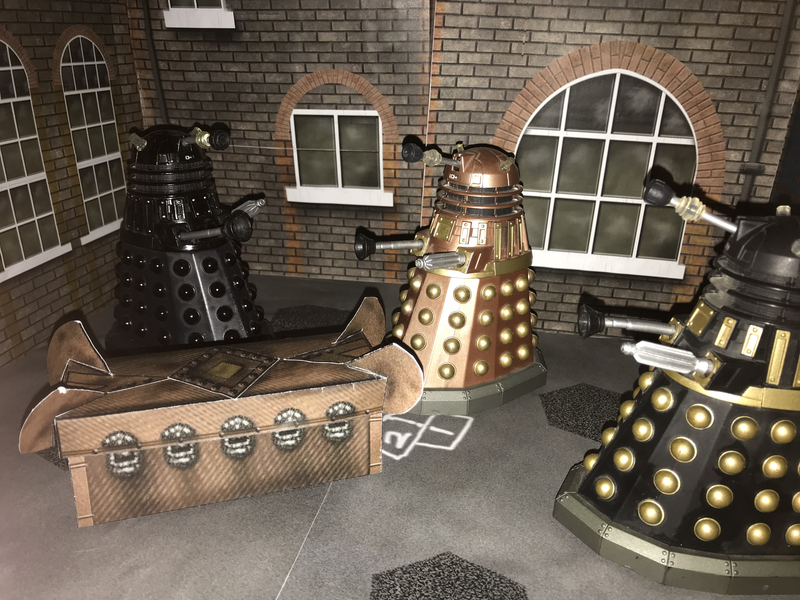 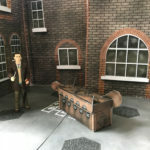 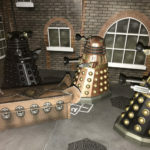 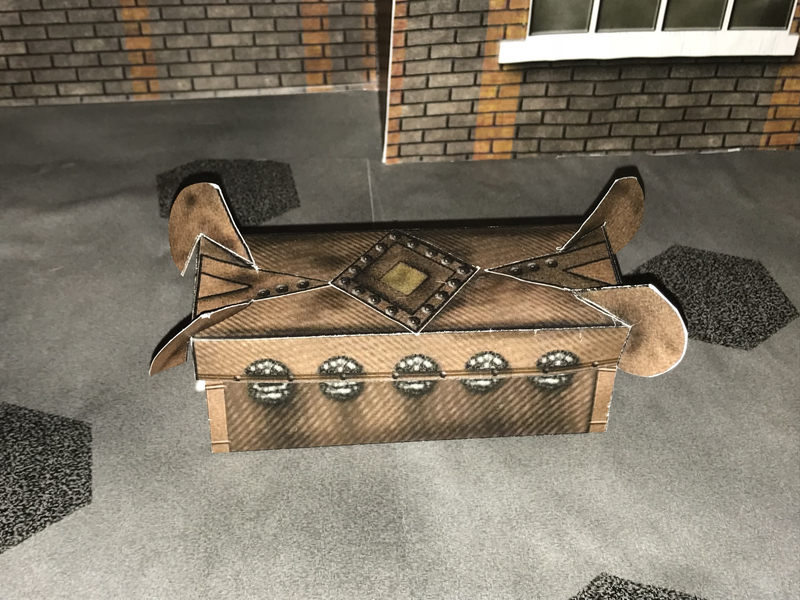 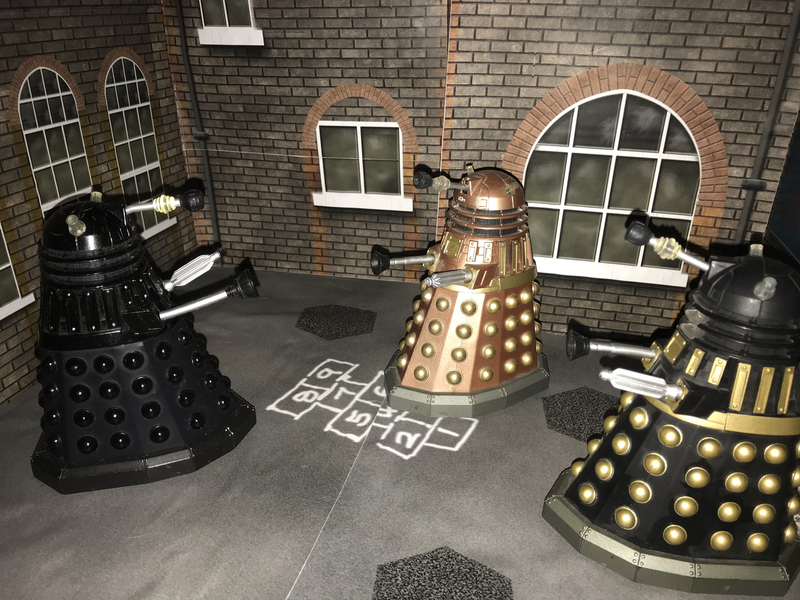 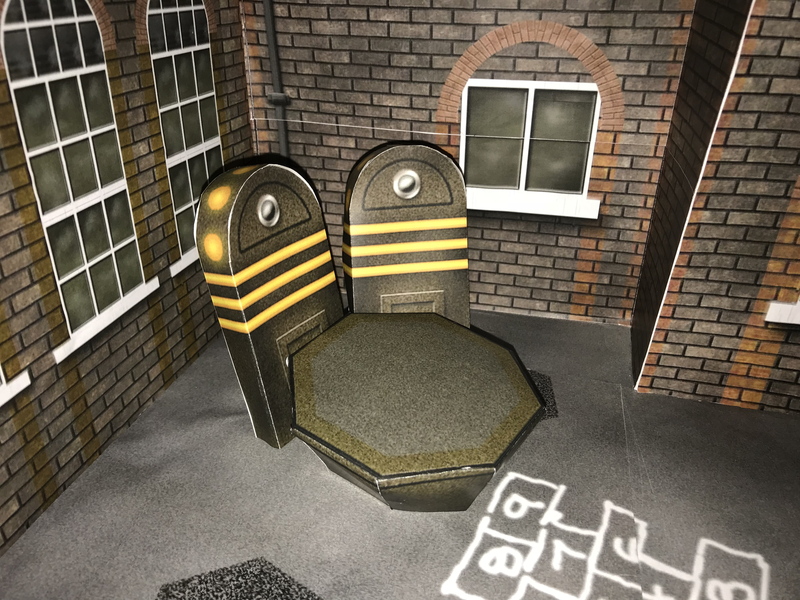 When I exhibited for the Bradford Science Festival I had printed off a lot of printable Doctor Who sets from AFT Downloads for people to cut out and make their own Doctor Who diorama. I had a few of these spare and make them up and use them for my daughter to play with using them on Plastic Action page. 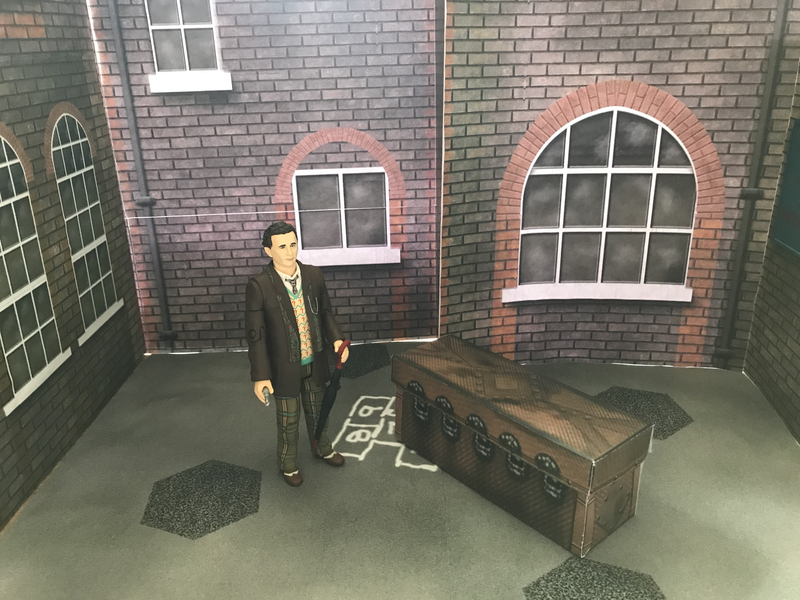 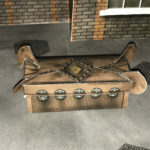 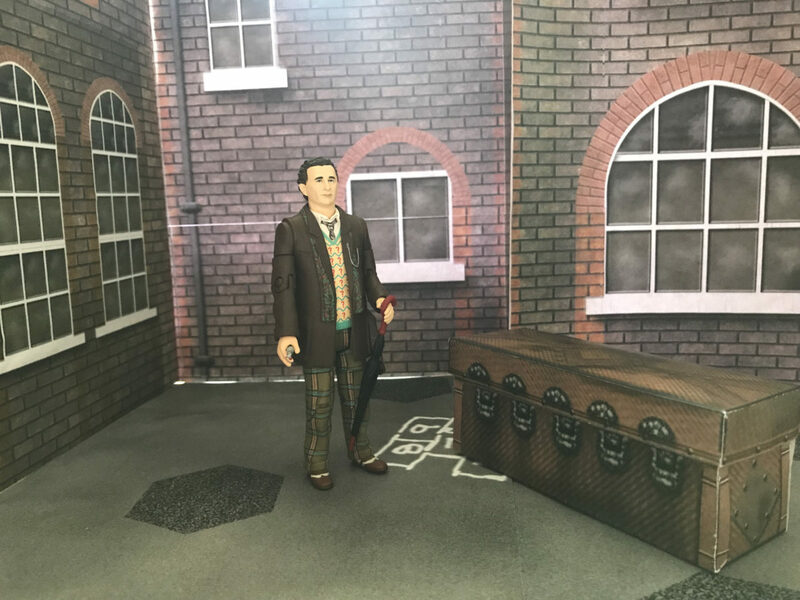 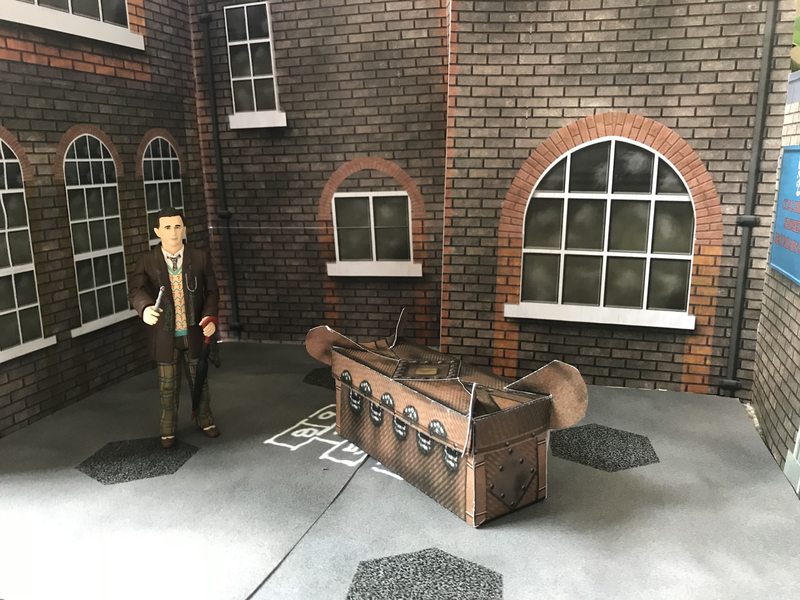 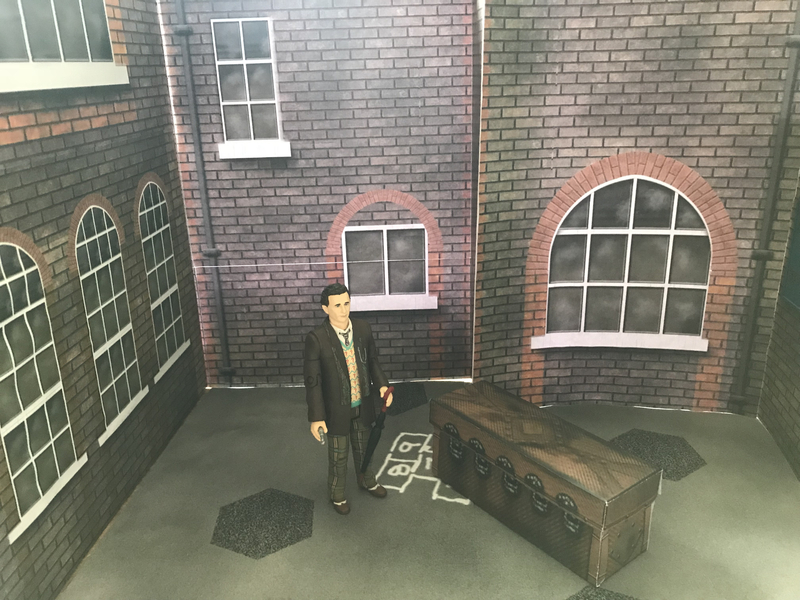 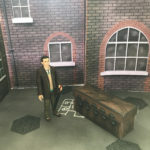 This set is taken from the Classic Doctor Who episode Remembrance of the Daleks featuring the 7th Doctor played by Sylvester McCoy. 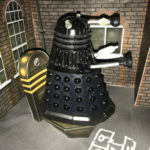 This is the episode where you first see a Dalek levitate upstairs! 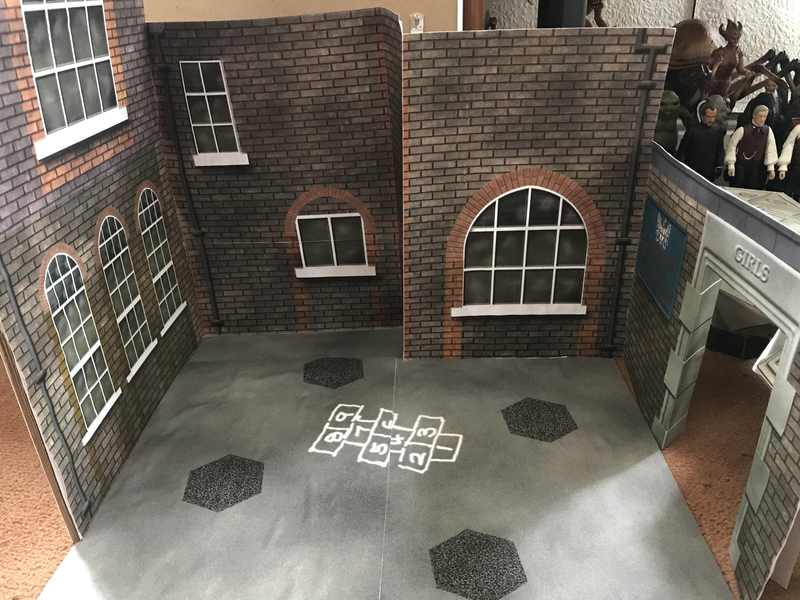 The school is made up using printed off decals which I have stuck onto card and for the larger wall, I have used a couple of pieces of cardboard. 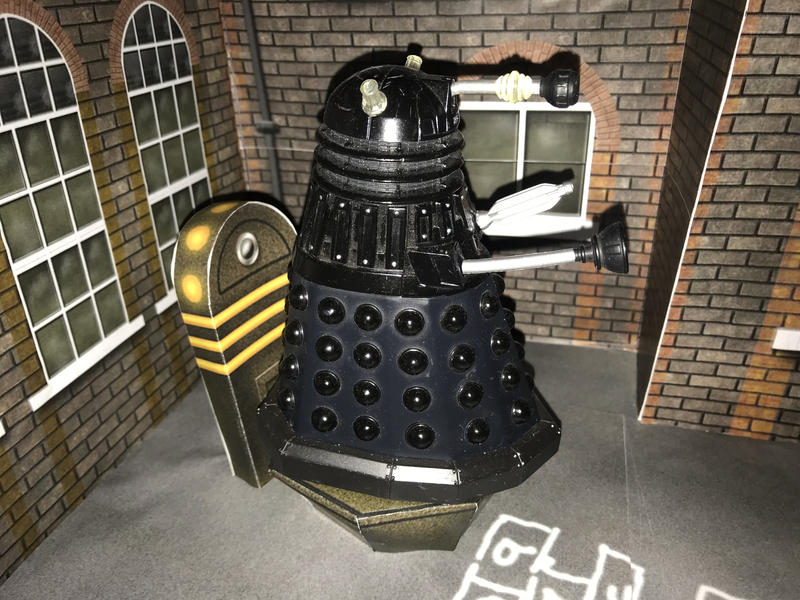 The Hand of Omega and the Dalek Transmat platform where cut out and glued together without backing them onto card. 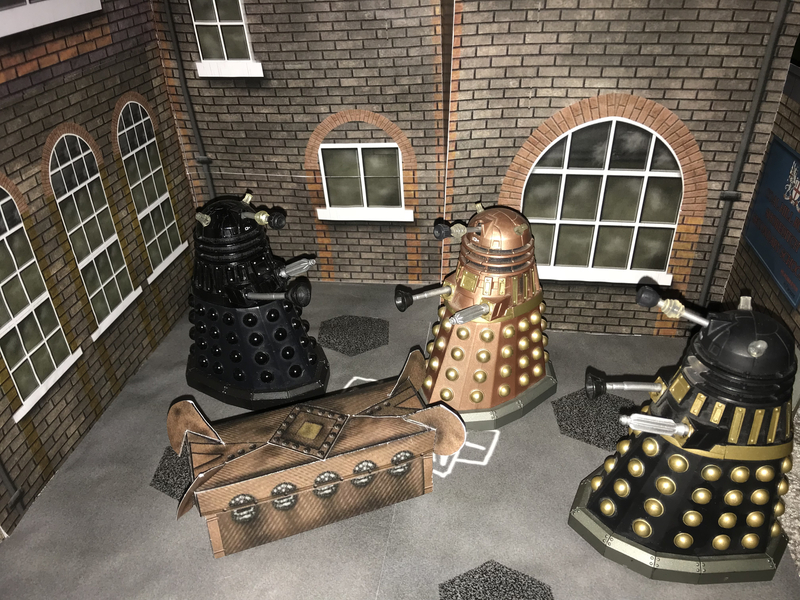 The Transmat is sturdy enough to take the weight of a Dalek. 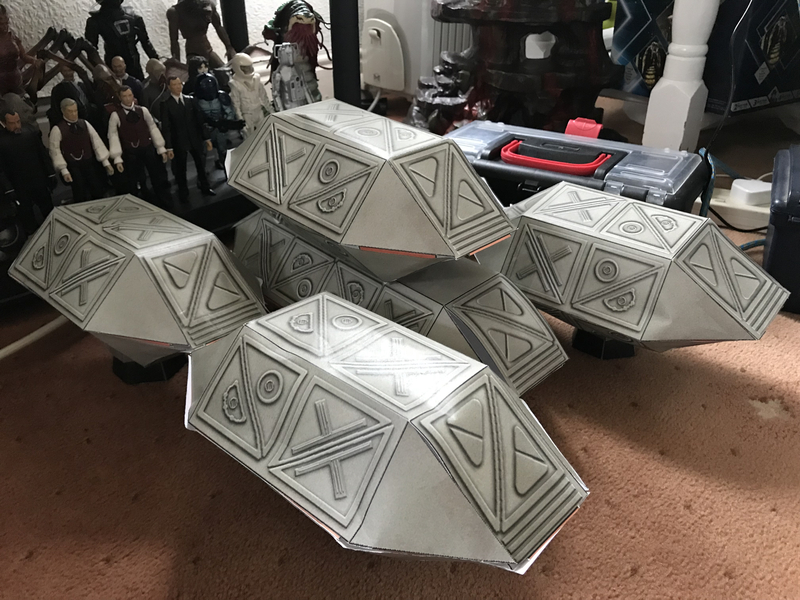 The Dalek Shuttle took a little longer to build, each of the smaller pods was broken into a top and bottom and the main pod was broken into four different sections. Each one having to be cut out and stuck together either by glue or sticky tape. 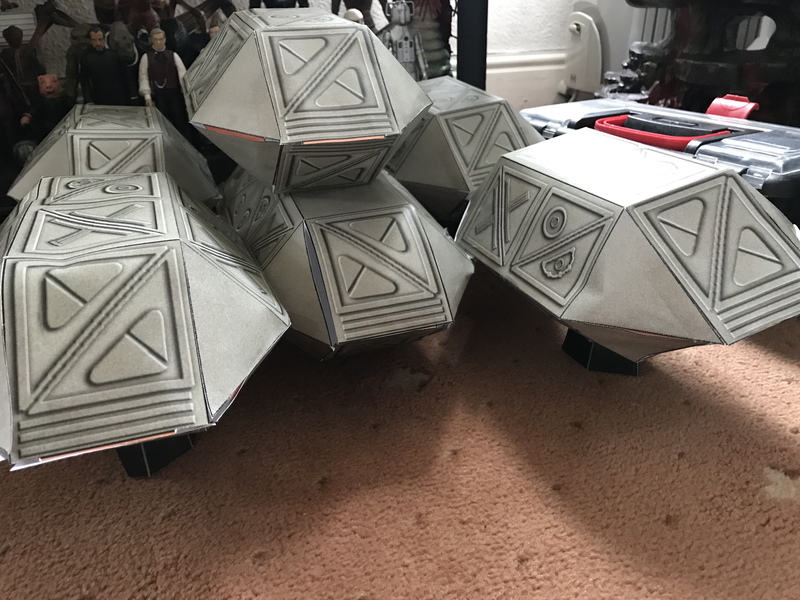 If you print this out, I recommend using a laser printer and a lot of patience!